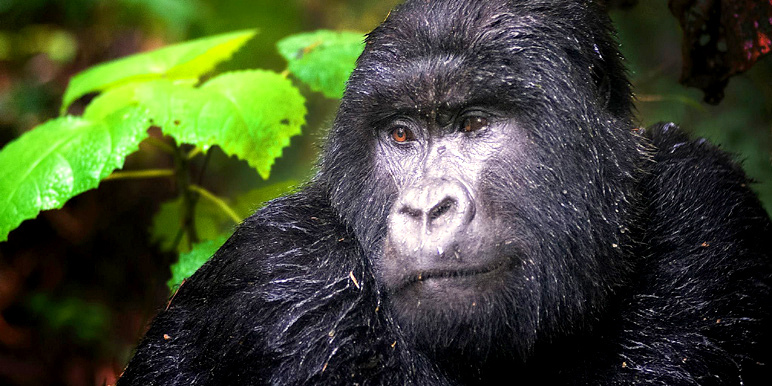 The complete 10 day Classic Uganda safari for intense wildlife encounters. It’s more than just gorillas! 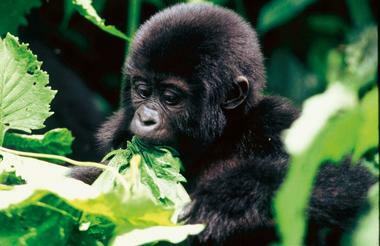 We spend 1 night Entebbe, 3 nights in Bwindi for gorilla trekking and forest walks in the World Heritage Site. A further 3 nights in Queen Elizabeth National Park focusing on big game viewing and 2 nights chimp trekking in Kibale Forest. 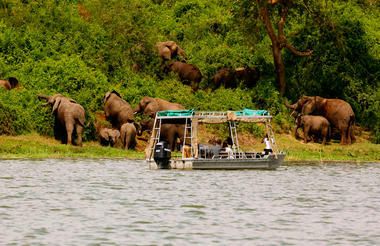 Highlights of the classic Uganda safari? From Entebbe, spend the first night on the edge of Lake Victoria. 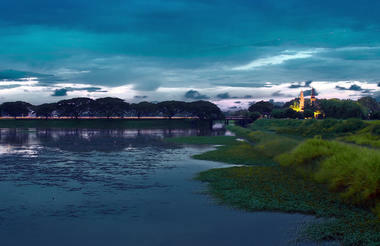 It’s an opportunity to stroll along the shoreline, the forests and fields of the Botanical Gardens. 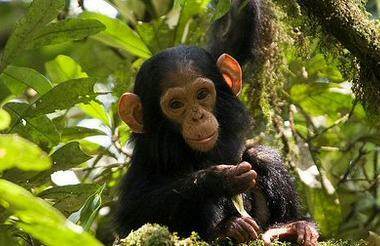 A visit to the Chimpanzee Sanctuary is an optional boat trip across to Ngamba Island. 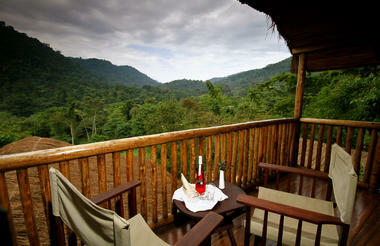 A short flight to Bwindi takes us to Buhoma Lodge set within Bwindi Impenetrable Forest National Park. We spend 3 nights in comfort with sublime views across into the deeper forests which are home to around 400 mountain gorillas. 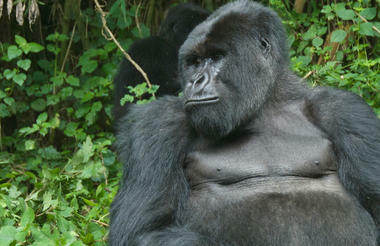 Two full days here are sufficient for two gorilla treks. One permit is included, the second is optional. The gorilla trekking is the outstanding highlight here but the short walking trails reveal an extraordinary diversity of other endemic flora and fauna with local expert guides. 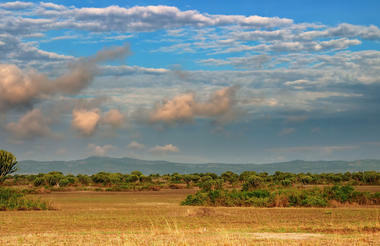 The journey continues into Queen Elizabeth National Park where we spend the first 2 nights at Ishasha Wilderness Camp. The park is outstanding for its big game and surprising diversity of birds. 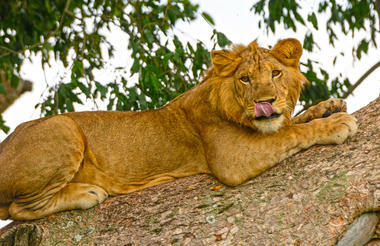 The Ishasha area is particularly well known for its prides of tree climbing lions. A further night is spent at Mweya Safari Lodge from which we do a Kasinga Channel cruise. The Chambura Gorge is a hotspot for chimpanzees and another walking trail is explored with another local expert. 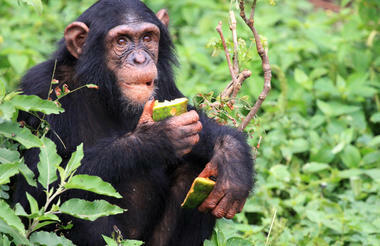 Ending with 2 nights at Kibale Forest for chimpanzee tracking before driving back to Entebbe. There’s even more to Uganda though… we can include Murchison, Kidepo, Semliki and beyond with ease. 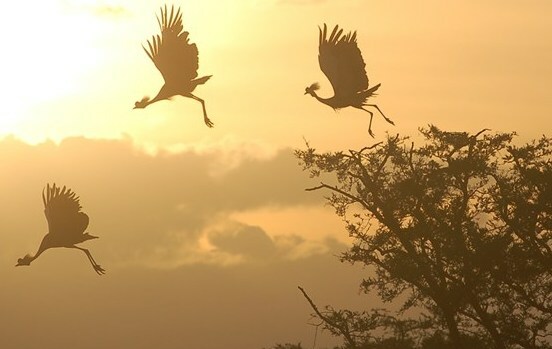 When the best time for a safari in Uganda? Warm all year. Maximum temperatures between 20°C and 30°C, dropping down to 12°C to 18°C minimum. Lake Albert records the highest temperatures and the Rwenzori’s glacial peaks record the lowest. May to early July and October/November are especially productive with fewer people about. It's not just about gorillas! 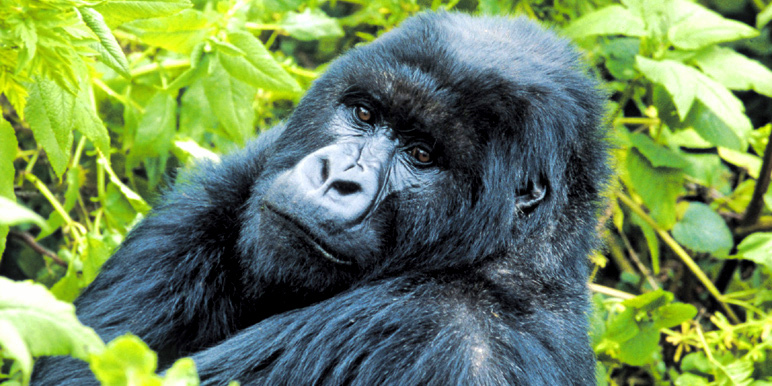 Everybody thinks "Rwanda then Uganda" for seeing the rare mountain gorilla. Rwanda does hit the spot but Uganda offers so much more. The gorillas are as good as guaranteed in Bwindi Impenetrable Forest but then the big game encounters in Queen Elizabeth National Park are surprisingly good too. Uganda goes further though - the chimpanzee encounters are as good as you'll get anywhere and the local guiding standards really set Uganda apart. This safari is available year round. 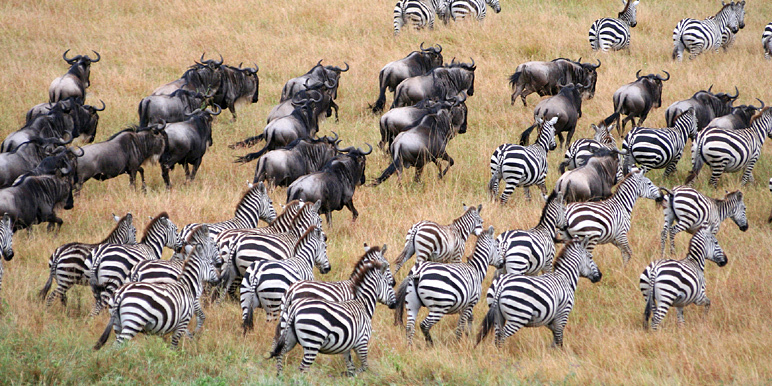 If you'd like to include East Africa's wildebeest migration as part of a longer safari then think January-February or October for Tanzania's Serengeti, alternatively July to September for Kenya's Masai Mara. Our driver will meet you for road transfer to the Boma Hotel for your first night. It's worth exploring Entebbe on Lake Victoria and visiting Ngamba Island and the Chimpanzee Sanctuary. Transfer to Bwindi airport for your local flight to Buhoma Lodge in the Bwindi Impenetrable Forest. Afternoon walk exploring the forest or cultural visit to a village or school. Opportunity for Gorilla trekking (permit included in price) for your first sighting of a wild gorilla, watch family groups.  The number of gorillas is sure to out number the people in your group! 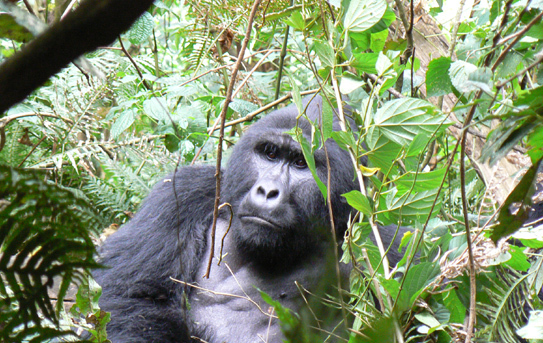 Option of a second gorilla trek or a community walk (the second trekking permit is optional and must be arranged at time of booking). visit the Batwa pygmy village, local school, curio shopping. 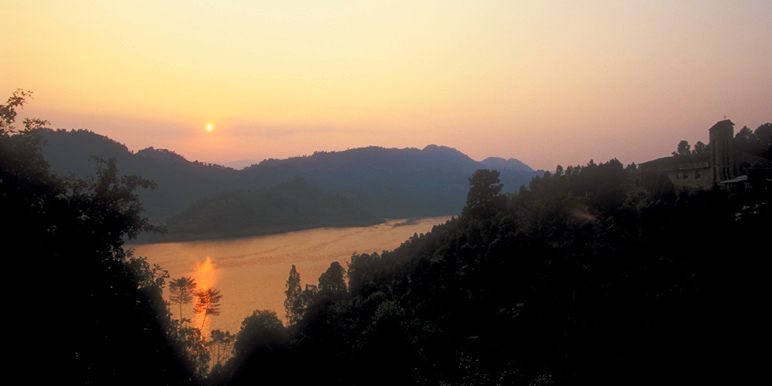 Leave Bwindi in the morning and drive to Isasha in the QENP. Game drive to see buffalo, elephant and tree climbing lions. Option to visit the Ishasha Community Project. Game viewing in the Queen Elizabeth Park. Possible sightings of the rare giant forest hog and tree climbing lions who laze on the low branches of the fig trees. Game drive and boat cruise along the Kasanga Channel to view migratory birds, hippo pods and large crocodiles along the shore. Spot the Euphorbia tree, a recognisable feature of the landscape! 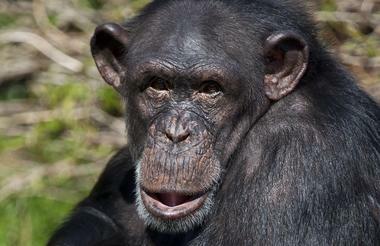 Go chimpanzee trekking in the Kyambura Gorge to. Then take a two to three hour drive to Kibale Forest and on to Primate Lodge for more chimp tracking. An exhilerating and exciting trek! Wildlife rich Kibale is famous for its primates - the tropical rainforest is home to buffalow, giant forest hog, waterbuck and 300 species of birds too! Day 10 - Photo shoot on the Equator! Depart today, drive back to Entebbe with time for shopping. Capture that all important selfie on the equator! 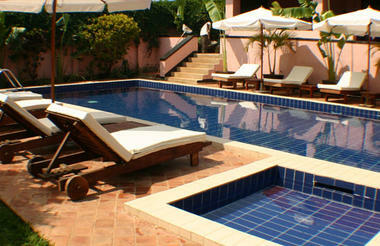 Please let us know if you would like to add an extra night in Entebbe before heading home. Via International flight to Entebbe International airport where you’ll be met on arrival (international airlines flying here include British Airways, South African Airways and Kenya Airways). Entebbe is the safari gateway, some 35km from the capital of Kampala - spend more than a night and get to Ngamba Island for chimp encounter.